Douglas-built B-17G-50-DL Flying Fortress "Big Yank" (#44-6405) of the 15th Air Force, 483rd Bombardment Group, 840th Bombardment Squadron, is shown sometime after its 30th mission in March 1945. The names Ken/Jack-D appear on the chin turret. Assigned to the 15th Air Force on August 17, 1944, Italian artist Mario Rucci was commissioned by the plane's crew chief, Irvin H. Davis, to paint the visage of President Franklin Delano Roosevelt. On March 24, 1945, this plane was commanded by Lieutenant William S. Strapko for an attack on Berlin, the longest escorted bombing mission of World War II. Jumped by Messerschmitt Me-262 jet fighters, "Big Yank's" top turret gunner, Staff Sergeant Howard Wehner, shot down one and tail gunner, Staff sergeant Lincoln Broyhill, shot down two. "Big Yank" shared credit for a fourth aircraft probably shot down. The aircraft carried crews home from 50 missions before the surrender of Germany. 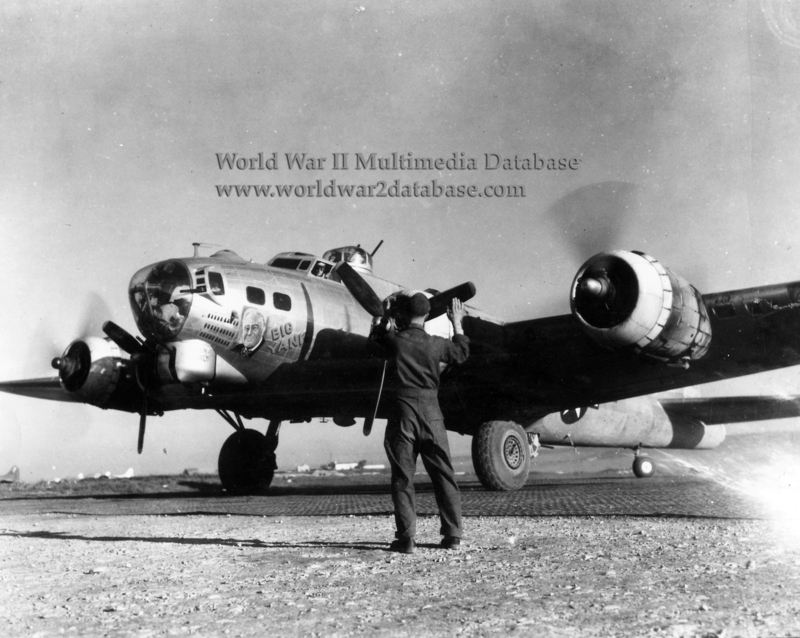 The 840th was disbanded in Pisa, Italy in September 1945 and the aircraft returned to the United States as part of the "Green Project" that returned American servicemen home. Later "Big Yank" was converted for Air-Sea Rescue duty, and dropped a life raft to at least one pilot in the Adriatic. She was scrapped in Walnut Ridge, Arkansas on December 28, 1945.